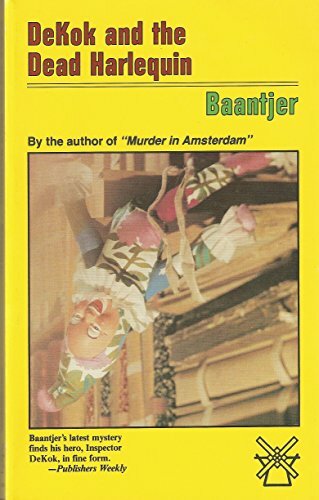 This latest Baantjer mystery delves into a grotesque double murder in a well-known Amsterdam hotel. In a surprising twist, Inspector DeKok has nightly conversations with the murderer and tries everything possible to prevent the man from giving himself up to the police. Risking the anger of his superiors, DeKok goes so far as to disappear in order to prevent the perpetrator from being found. Meanwhile, two unexpected characters add to the web of confusion: a six-year-old girl who never sleeps and a respected accountant who seeks DeKok s advice on committing the perfect crime. With Dead Harlequin, Baantjer has created yet another intelligent, absorbing tale. A. C. Baantjer is the most widely read author in the Netherlands. A former detective inspector of the Amsterdam police, his fictional characters reflect the depth and personality of individuals encountered during his 38-year career in law enforcement. Baantjer holds the honor of being knighted by the Dutch monarchy.